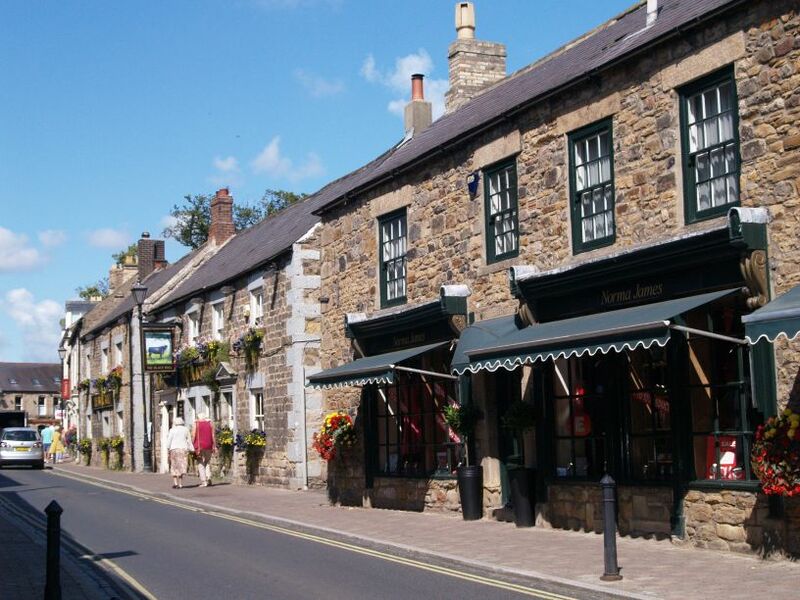 The town of Corbridge has been an important crossing point over the River Tyne for at least 2000 years and a major Roman site can be visited not far from the town centre. Corbridge has had something of a stormy history e.g. 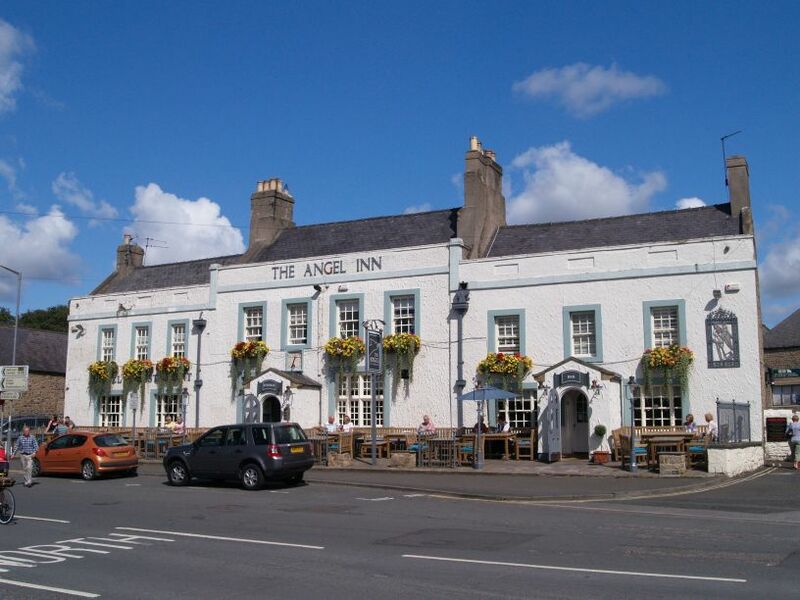 in AD 796 King Ethelred of Northumbria was killed in Corbridge and in 918 King Regnald the Dane defeated the English and Scots armies here. 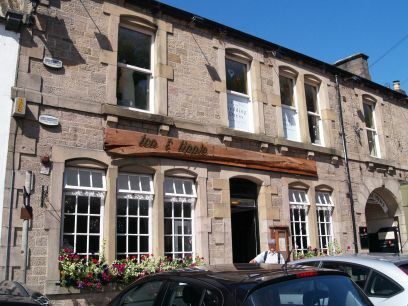 In 1138 King David I of Scotland occupied Corbridge town and in 1201 it was 'searched' (whatever that means!?) by King John of England. 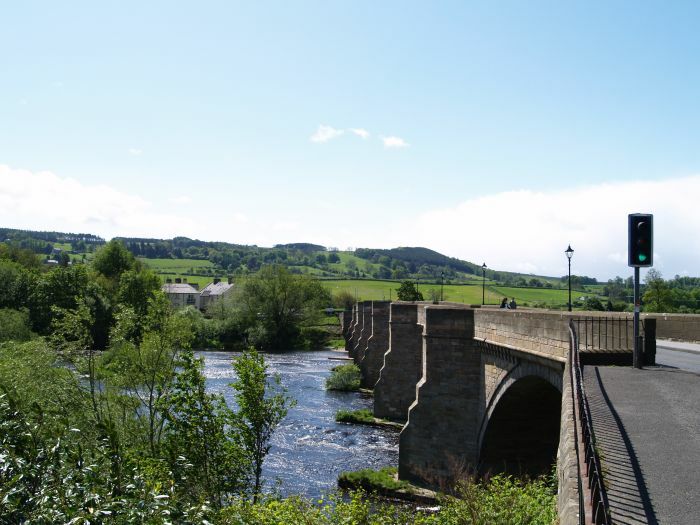 Corbridge was burned three times by Scots from the north, by Wallace in 1296, by Robert Bruce in 1312 and again in 1346 by King David II of Scotland. Corbridge Town: The handsome stone road bridge over the River Tyne at Corbridge which divides Co. Durham and 'old' Northumberland. The bridge is of seven arches built in 1674. 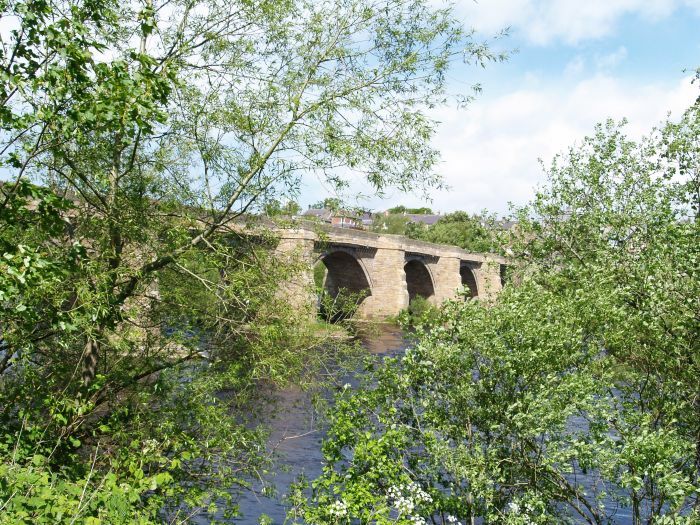 The present bridge at Corbridge was built in 1674 and was the only Tyne bridge to survive the great floods of 1771. 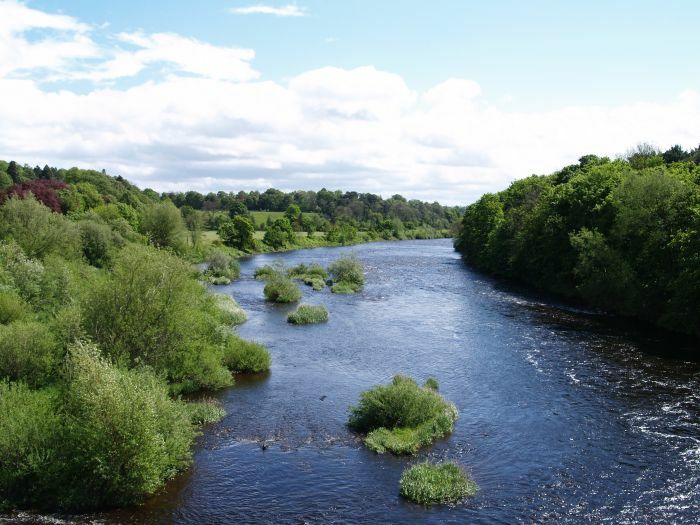 Looking east down the River Tyne from the bridge at Corbridge. Corbridge Town: The sturdy buttresses of the of the bridge. 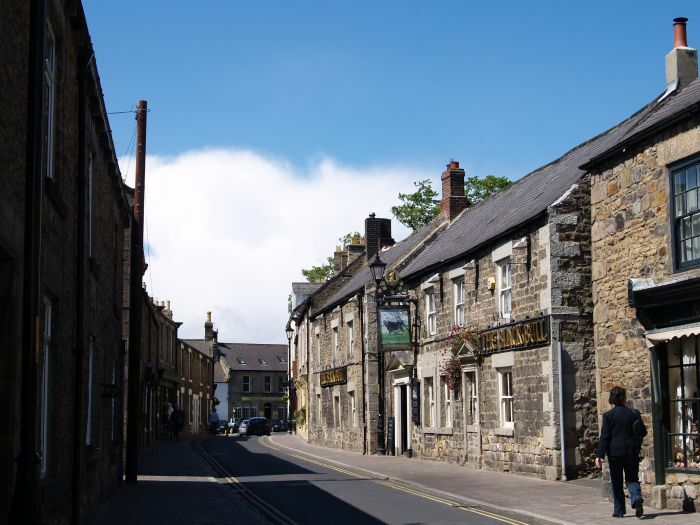 Corbridge Town: One of the main, but quiet streets of Corbridge. 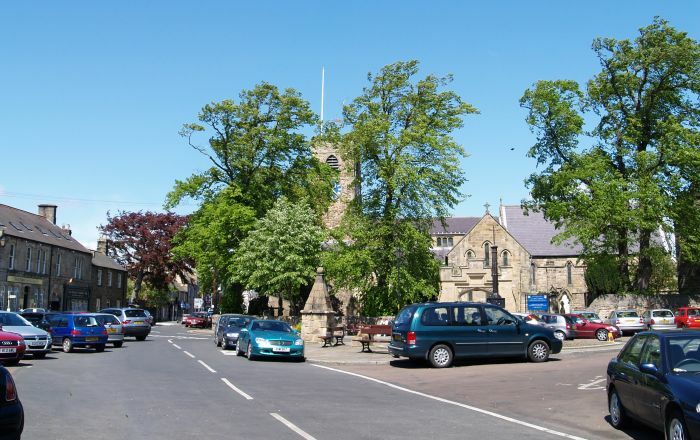 Corbridge was an important town in the Middle Ages and received a Charter in 1201. 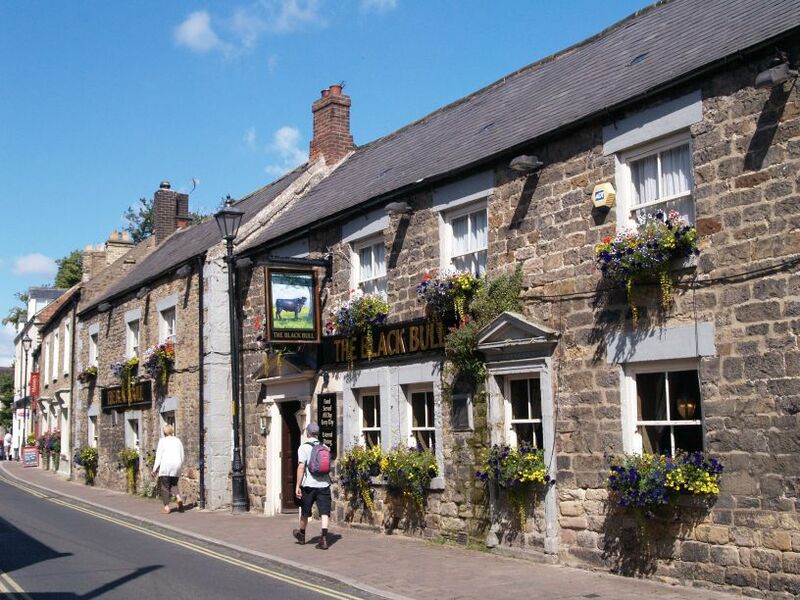 On the right is a good old traditional pub 'The Black Bull' dating from 1765. 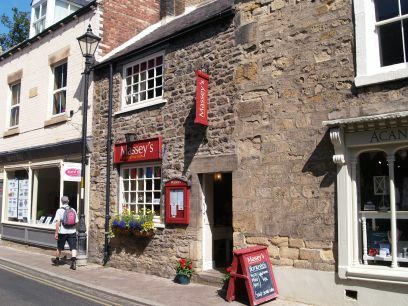 Left: Massey's homemade cooking is decent cafe in Middle Street, Corbridge. 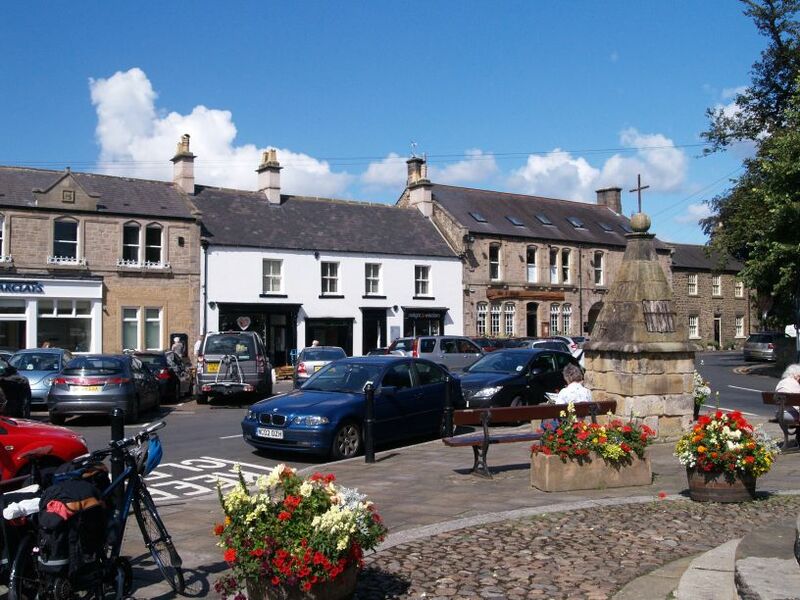 Corbridge Town: The centre of Corbridge, Market Square, St Andrew's Parish Church and the market cross. 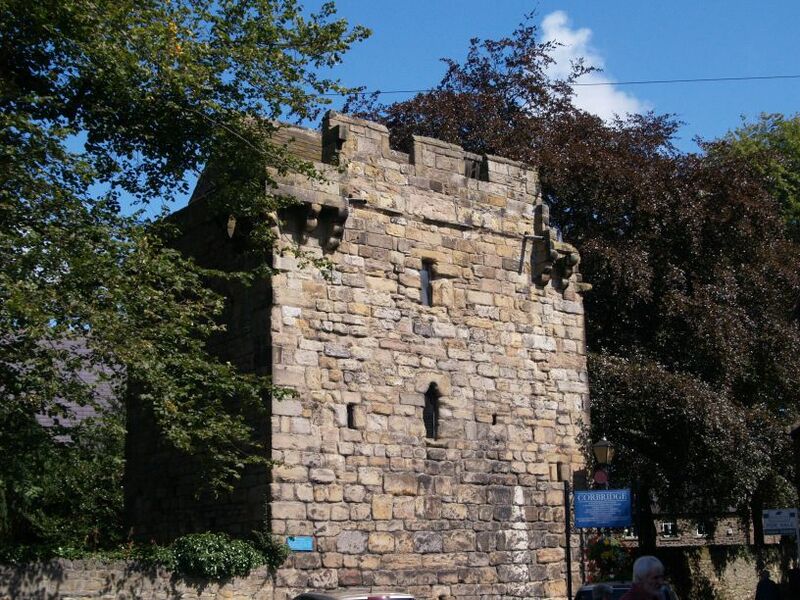 Corbridge Town: The Pele Tower by St Andrew's Parish Church, once the medieval vicarage of Corbridge, was built from Roman stones from Corstopitum, around 1300 as a fortified house for the vicar and his family when threatened by attack from 'wild' cattle raiding border people. 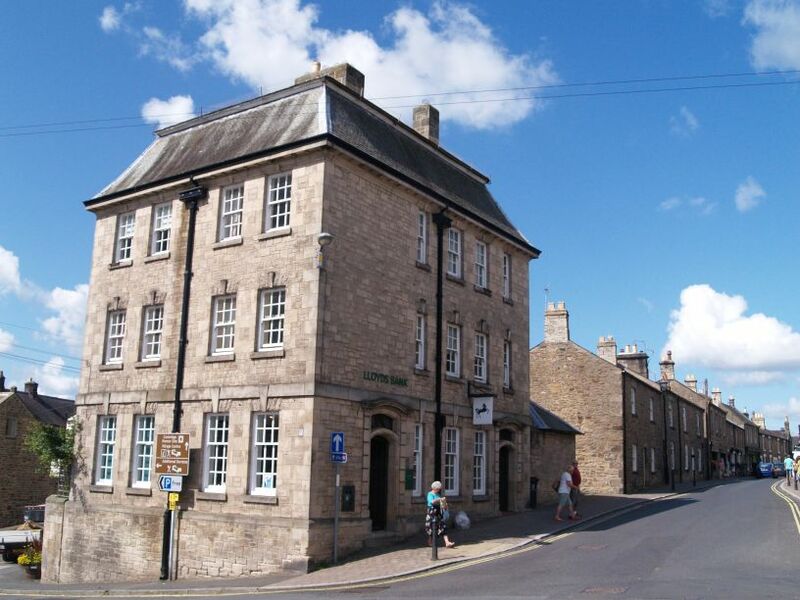 It continued in use and lived in as a fortified vicarage until the early 17th century! 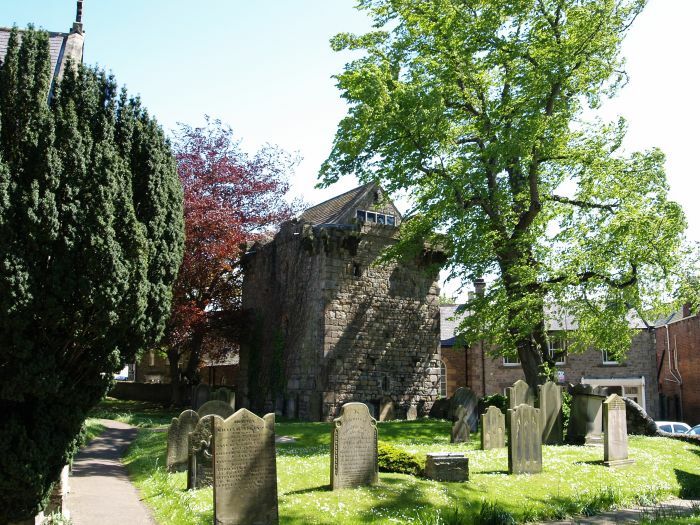 Corbridge Town: Set in the west wall of the churchyard on Watling Street is the Kings Oven, built around 1300, where villagers baked their meat and bread until about 1710. 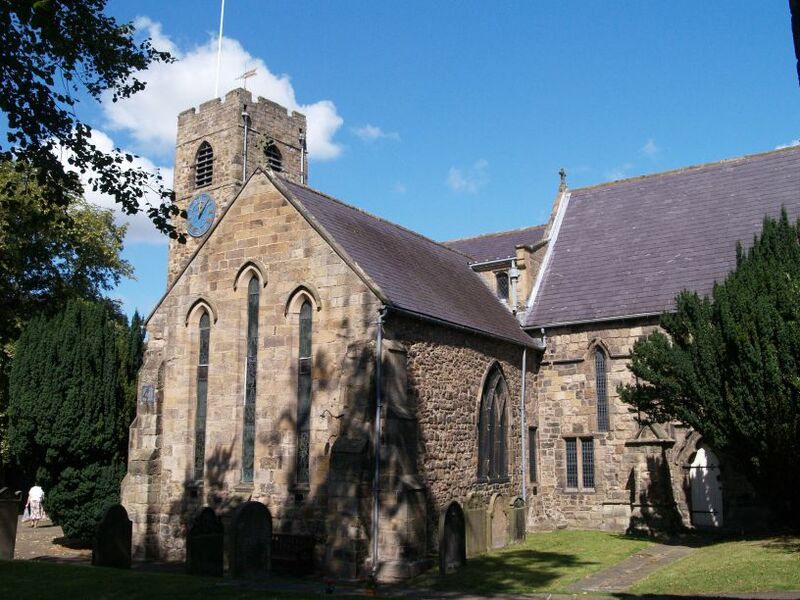 St Andrew's Church, Corbridge: The church was restored in the 11th and 12th centuries including the construction of the Anglian tower. 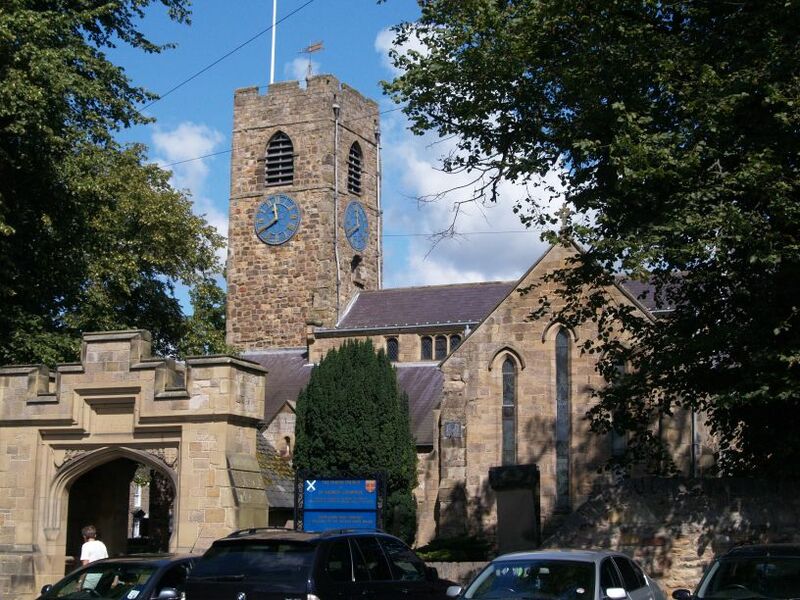 This is a wonderful church to visit and please purchase the excellent guide to the church and its history to help with the upkeep of this historic treasure. 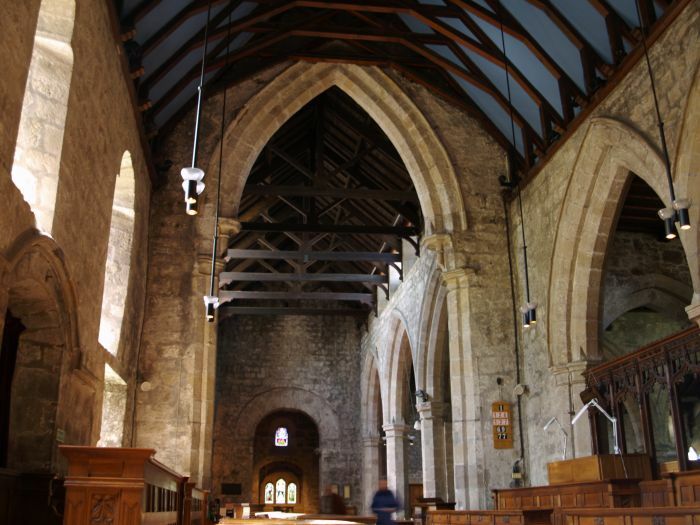 The Saxon church was monastic, and the lower parts of the west tower probably date from before AD 786, the year in which a bishop was consecrated in the Monastery of Corbridge. PLEASE LEAVE A DONATION FOR THE UPKEEP OF THIS WONDERFUL BUILDING. 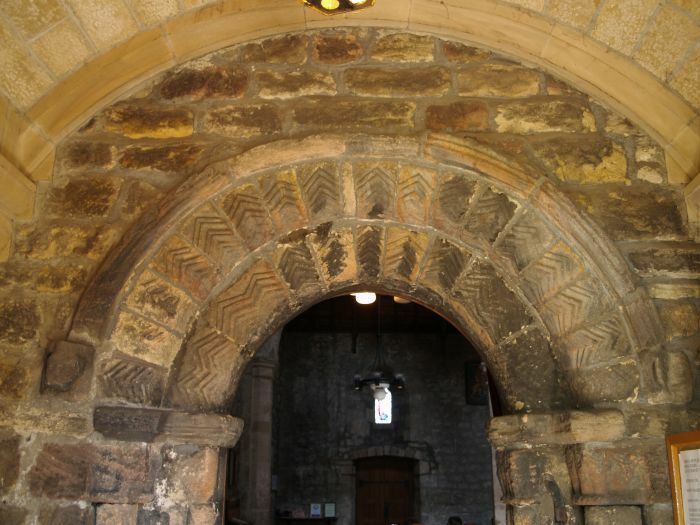 St Andrew's Church, Corbridge: In the modern porch of the south door entrance, you enter the church via the chevron carved Norman archway. 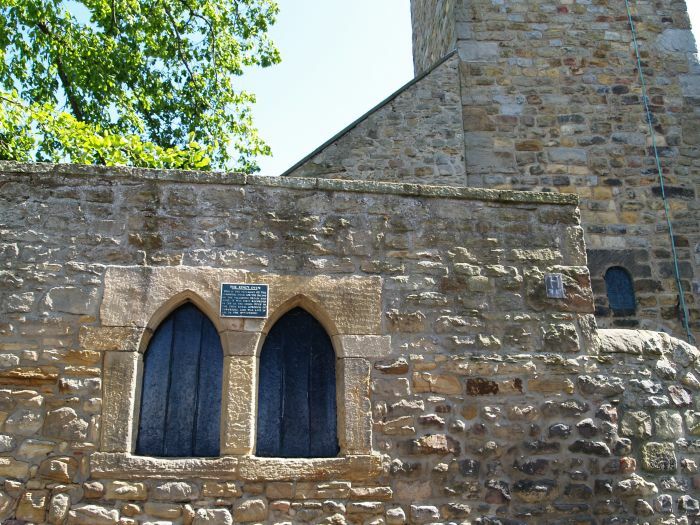 The dark stains on the stonework testify to the turbulent history of the town! 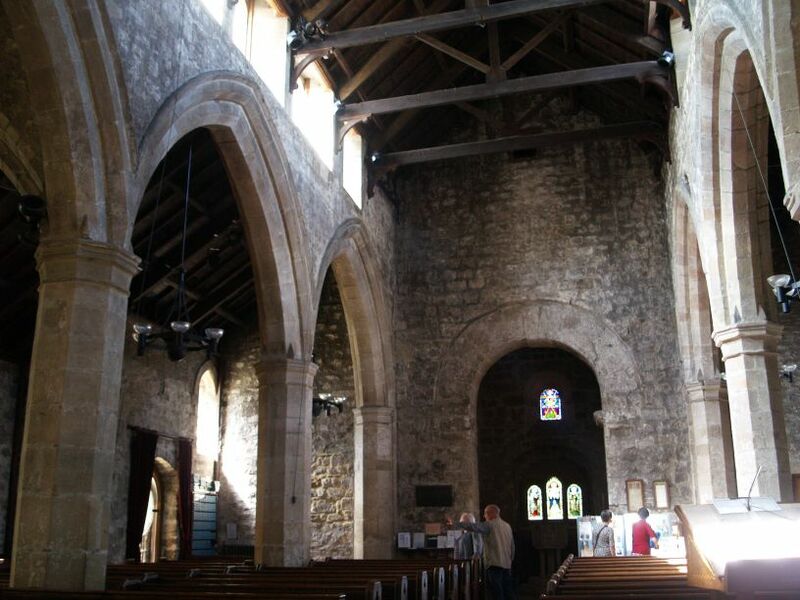 St Andrew's Church, Corbridge: Looking eastwards down the nave to the great chancel arch (12th century) and altar. 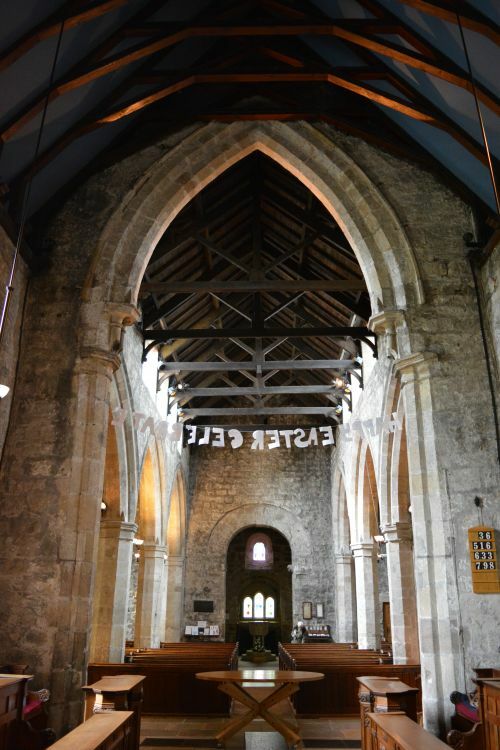 The nave and aisles show the basic shape and size of the church derived from the building work of the 13th century. 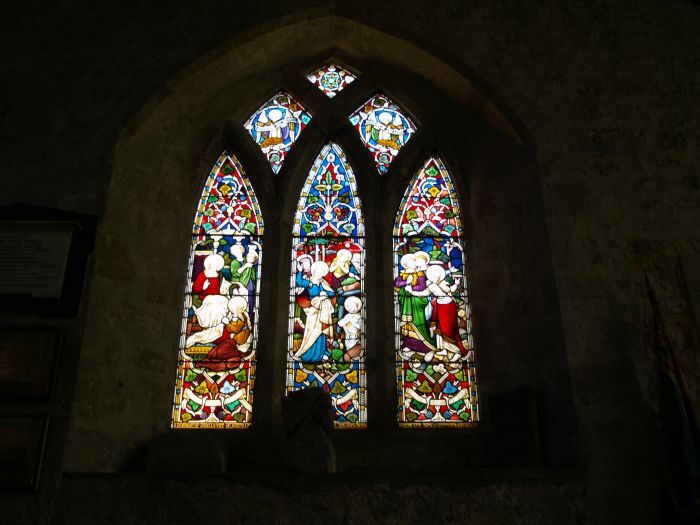 The three light east lancet windows can be seen above the altar. 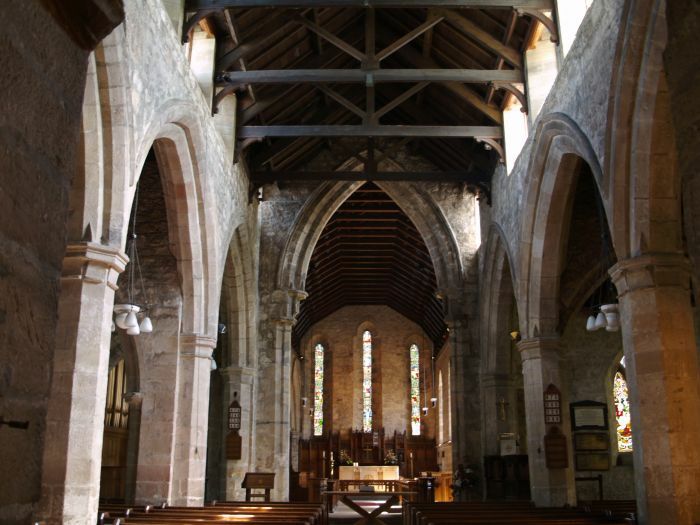 Looking east down the nave of St Andrew's Church, Corbridge. 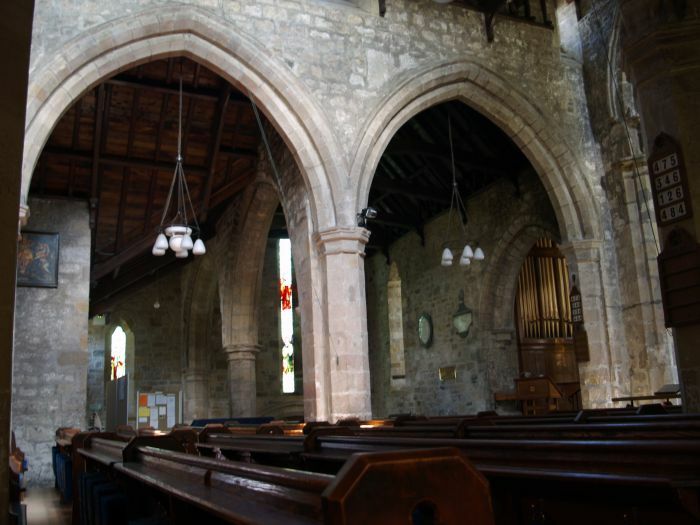 St Andrew's Church, Corbridge: The north aisle and organ. 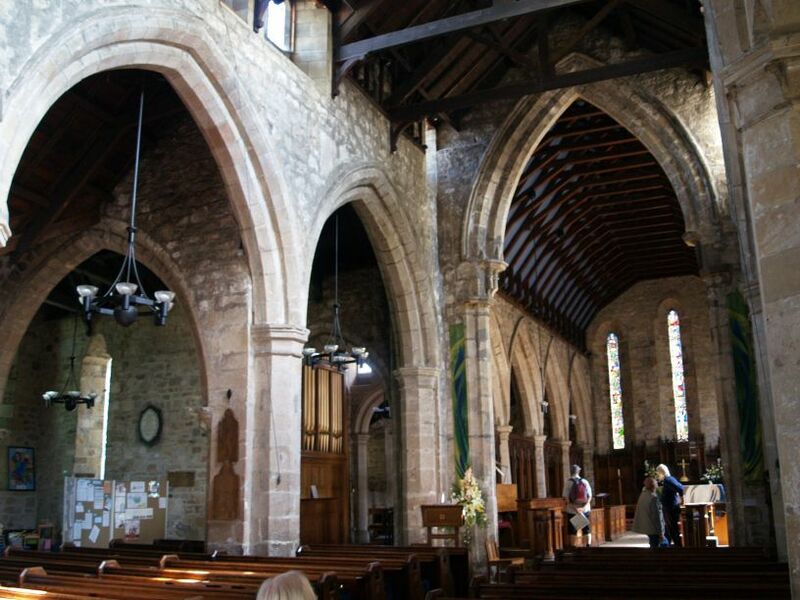 St Andrew's Church, Corbridge: Looking east down the north aisle - at the end, the curved arch (Romanesque style) of an early Norman 'doorway' built from Roman stones. 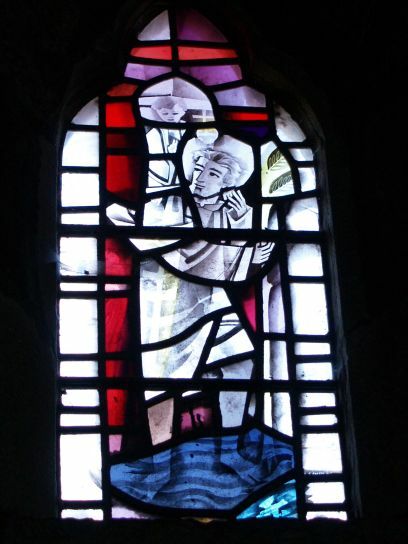 The small west widow in the tower is Saxon in origin. 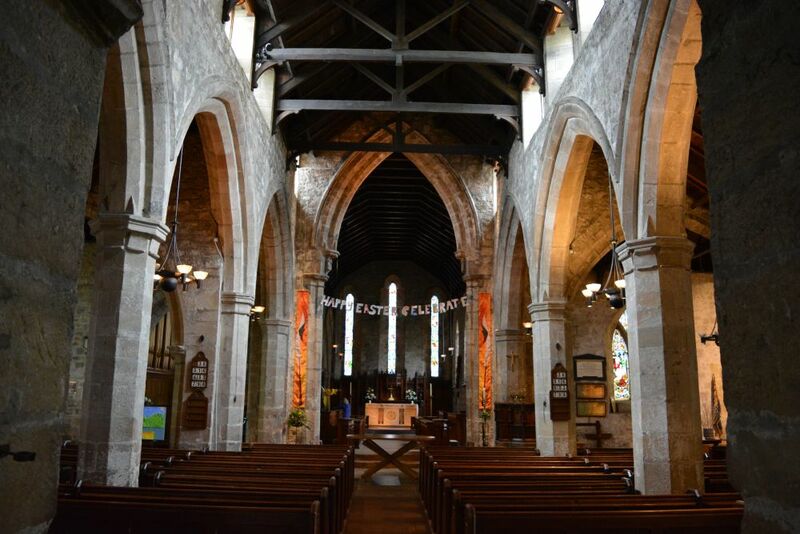 Left: Looking west down through the chancel arch into the nave of St Andrew's Church, Corbridge. 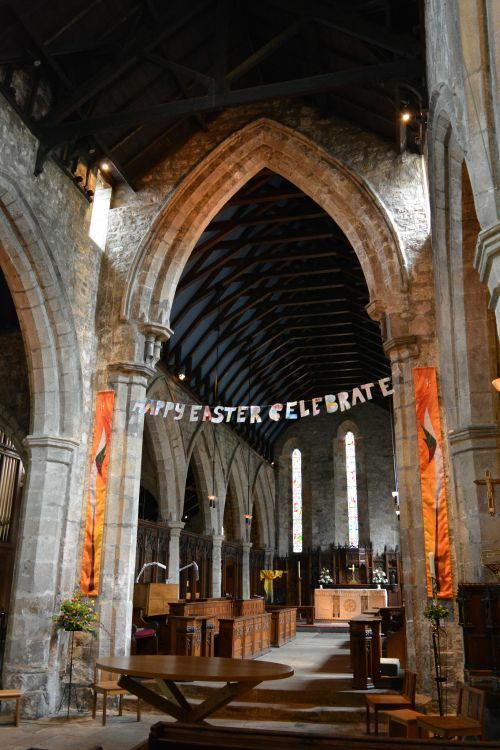 Right: Looking east down through the chancel arch into the chancel and altar of St Andrew's Church, Corbridge. 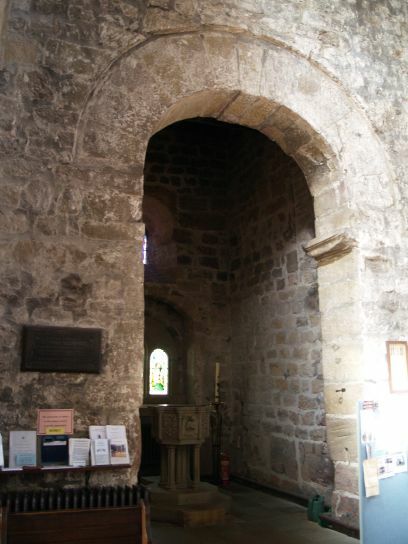 Details of the 'Romanesque' curved arched doorway at the west end of St Andrew's Church. 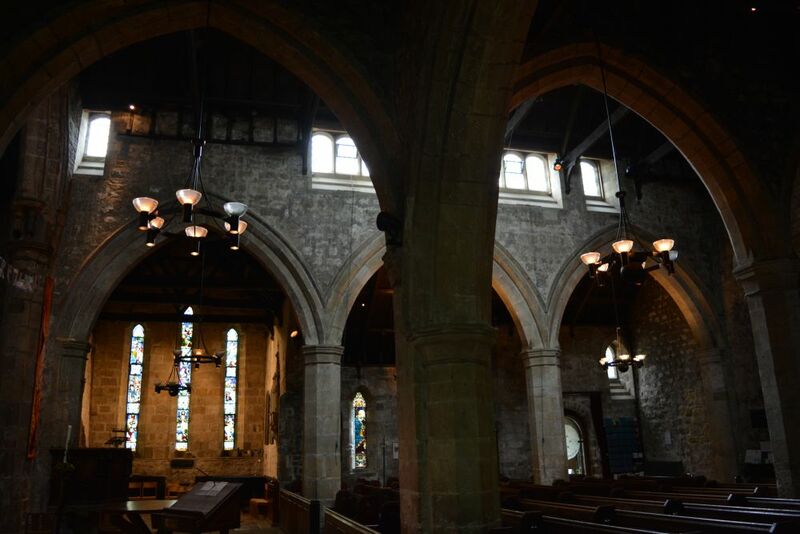 Looking from the north transept across the nave to the south transept of St Andrew's Church, Corbridge. 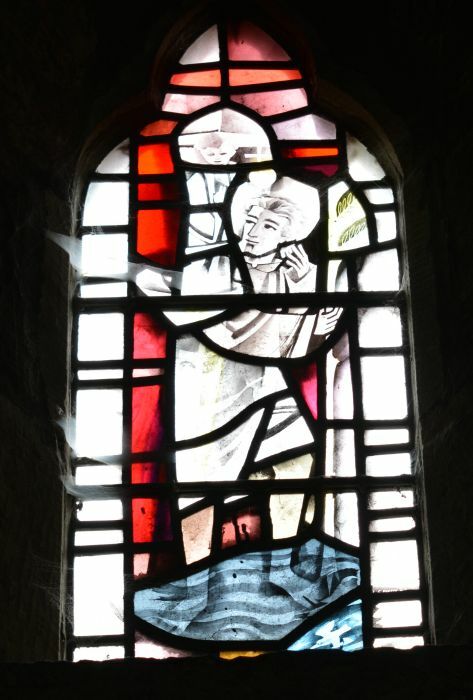 St Andrew's Church, Corbridge: One of the stained glass windows of St Andrew's. 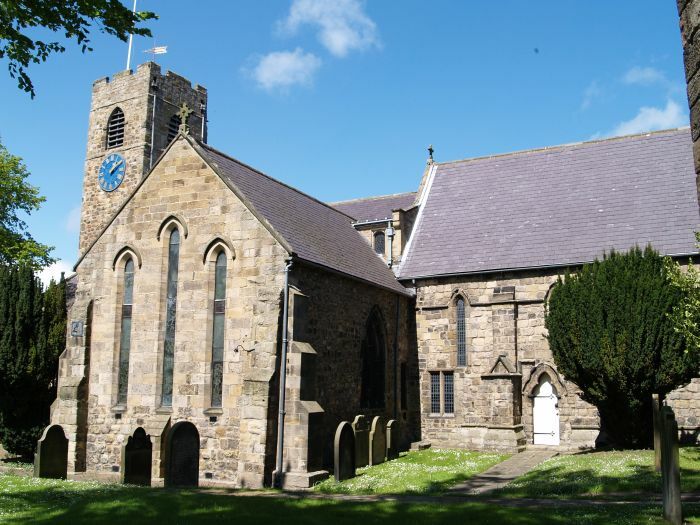 The first church was probably built around 674 AD by St Wilfrid's artisans and monks using stone from the ruins of Corstopitum (Roman Corbridge). 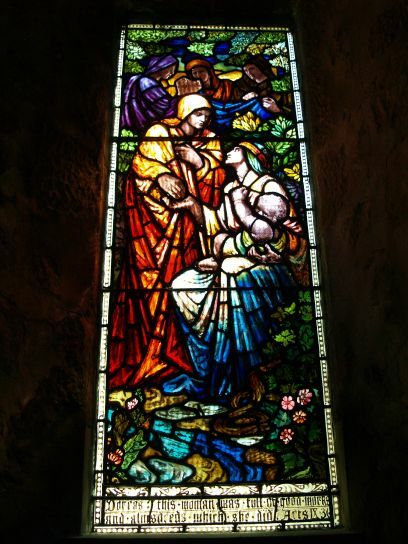 On the right the 2000 Millenium stained glass window given by the Corbridge Parish Council. 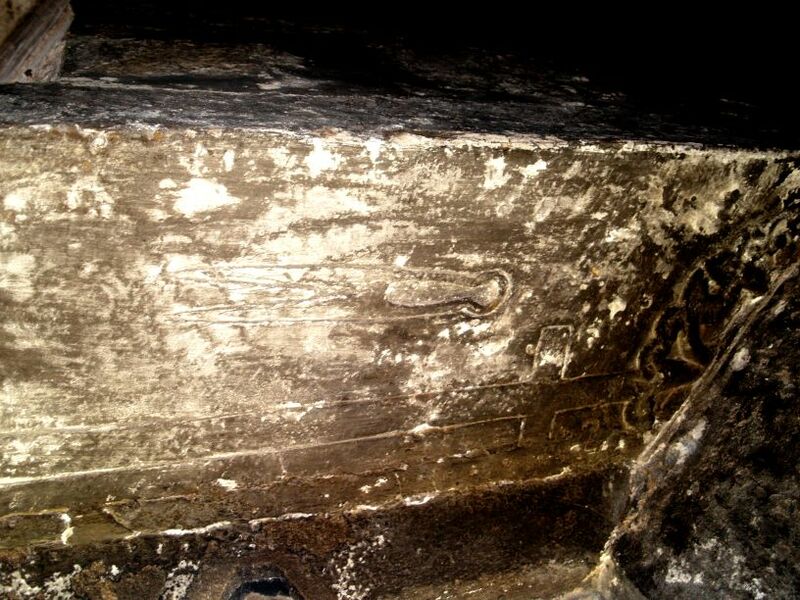 A pair of shears or scissors along with a cross carved into a coffin lid (cross-slab tombstone), now used a as window lintel in St Andrew's Church. Did this depict the trade of the 'occupant'?